Meet the Meizu Pro 7 and Meizu Pro 7 Plus. Meizu may not be a familiar name, but after seeing their new devices you may start remembering them. 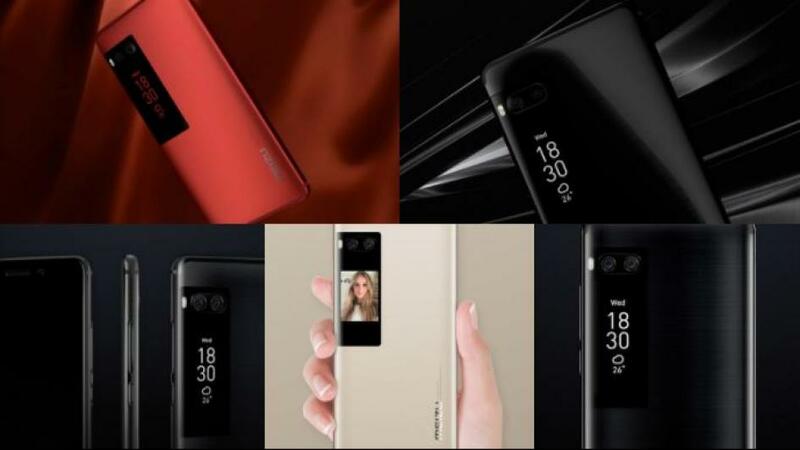 The Chinese company has just unveiled their new lineup of devices that include the Pro 7 and Pro 7 Plus which features dual cameras and dual displays. With the standard 5.7-inch QHD Super AMOLED display at the front, both the Pro 7 and Pro 7 Plus also have a secondary AMOLED display at the back. Along with that, these smartphones also feature the same dual camera setup found on Huawei’s devices: one primary 12-megpiaxel lens that shoots in RGB, along with a secondary 12-megapixel sensor that shoot in monochrome. The Pro 7 Plus’ specifications include a MediaTek Helio X30 10 nm chipset along with 6 GB of RAM, 64/128 GB of internal storage and a 3500 mAh battery. It also supports fast charging that can bring up battery capacity to 67 percent within 30 minutes of charging. The smaller Pro 7 will have a 5.2-inch full HD screen along with a MediaTek Helio P25 SoC. There’s also 4 GB of RAM, 64 GB of storage, a 16-megapixel camera and a 3000 mAh battery. The smartphone will likely be available in China first, but we’ll keep you posted if it reaches the Middle East along with the retail price.